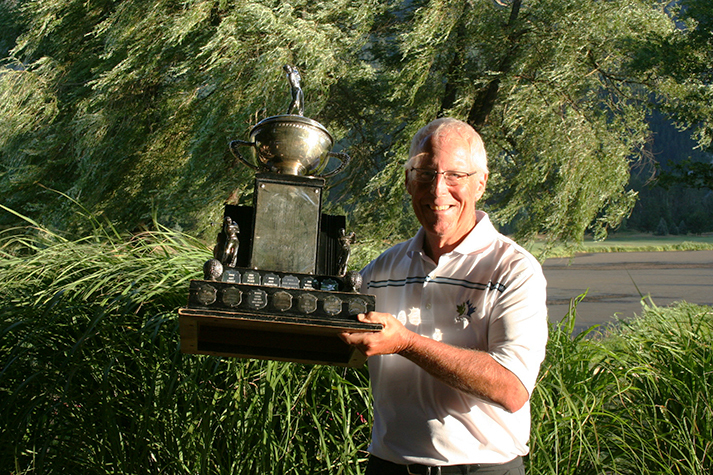 BATHURST, New Brunswick — American Brady Exber closed out a strong performance with a final-round 73 (+1) to claim the 2018 Canadian Men’s Senior Championship at Gowan Brae Golf and Country Club. Having played many different Nevada courses over his career, Exber shared high praise for the conditions at Gowan Brae. “It’s a really fun course, the two nines are very different. If you drive it in the fairway here, you can make some birdies. The hospitality here is fantastic.” Exber earns an exemption into the 2019 U.S. Senior Amateur Championship at the Old Chatham Golf Club in Durham, N.C., from Aug. 24-29, 2019. Earlier in the tournament, Team British Columbia captured the inter-provincial team championshipwith a score of 9 over par. Team Alberta and Team Quebec finished one stroke back with a share of second. Additional information, including complete scoring info for the 2018 Canadian Men’s Senior Championship can be found here.